Cappanalea OETC has one of the largest open canoe fleets in the country. 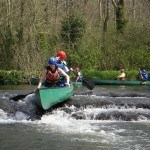 Our qualified staff have a vast depth of experience in bringing individuals and groups canoeing in Kerry. A number of rivers and lakes throughout the county and further afield provide ideal venues to practice the skills and explore the waterways. Click on your Canoeing choices below for more information. You can either Book Now or Enquire Now depending on your selected choice. Courses can also be tailored to meet an individual’s needs by sending a request through the Enquire Now option. Canoe sailing is an activity taught at Cappanalea OETC. Here the wind is harnessed to power the canoe forward. 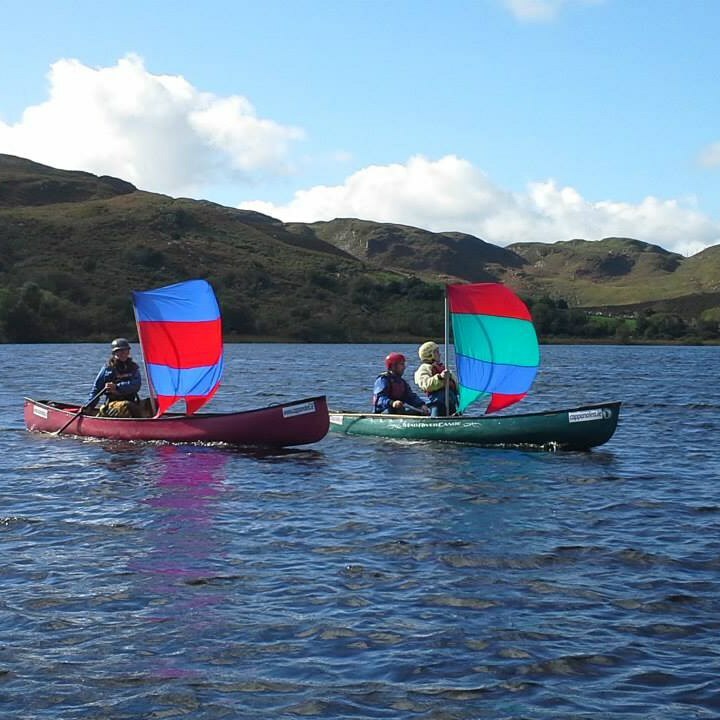 If you have a group interested in canoe sailing at Cappanalea we would love to hear from you and will be happy to work with you to meet your needs. 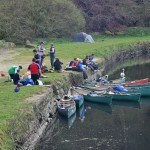 Cappanalea OETC is uniquely located to offer a wide range of canoeing challenges and adventures. Open canoes offer a great platform to allow you to bring camping equipment with you on trips, which means a nice comfortable camp when you get to the end of your day’s canoe touring. 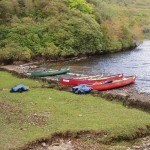 Canoe touring / canoe camping in Kerry is offered on Caragh Lake or the Lakes of Killarney. 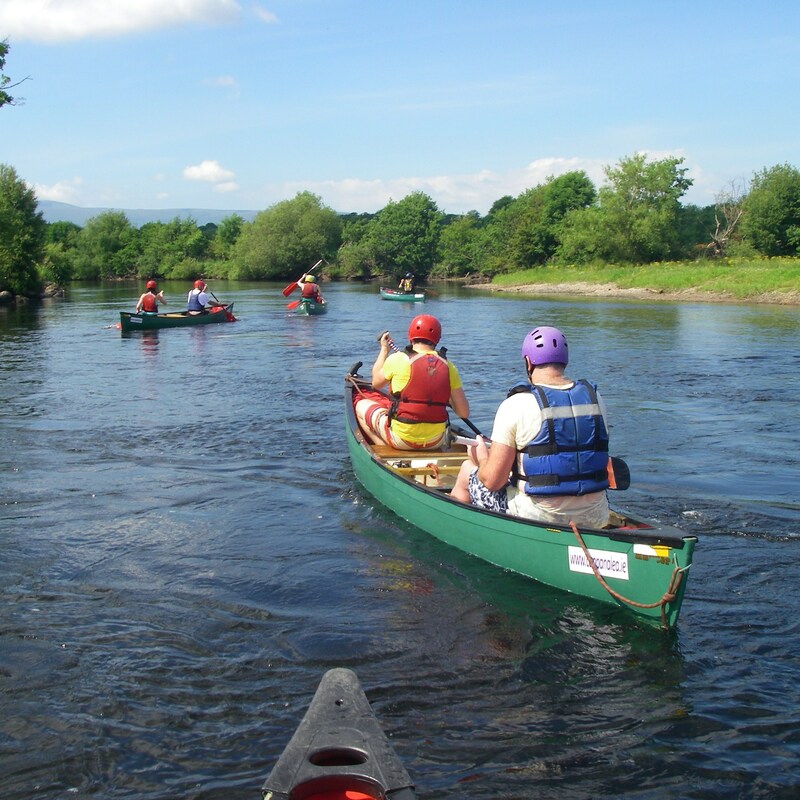 Cappanalea also run canoe trips further afield on the River Shannon; the Barrow or the Blackwater, for more details on Canoeing Touring / Canoe Camping give us a call. 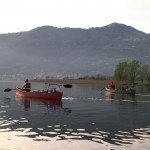 Start Canoeing at Cappanalea OETC on the gentle flat water of our neighbouring lake. Day courses on Caragh Lake or perhaps even on the Lakes of Killarney where there is the possibility of seeing the re-introduced Sea-Eagles up close. Canoeing away from our base at Cappanalea OETC can be facilitated with prior agreement. 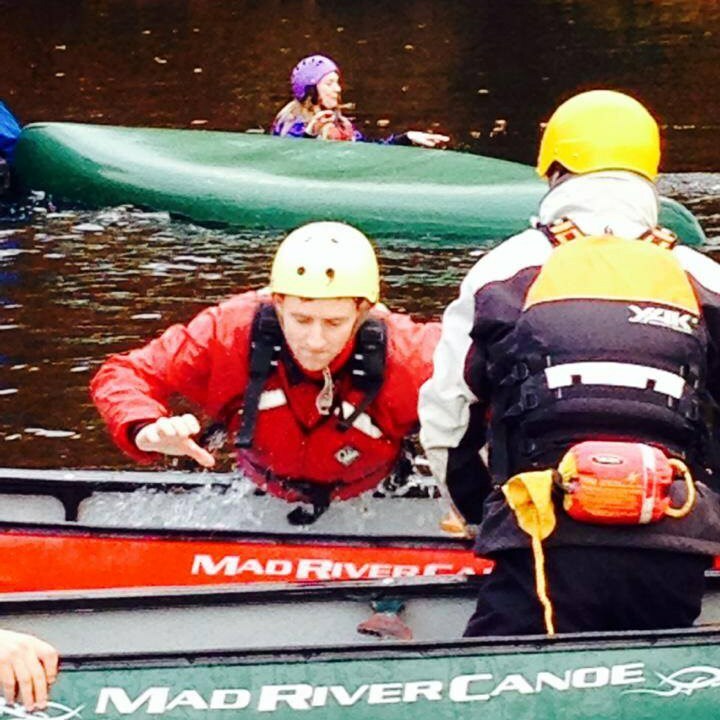 Canoeing day activities are offered for a full and half day. For the more experienced Canoeist, Cappanalea OETC provides opportunities for individuals to progress their canoeing skills from flat-water onto faster moving water and onto white-water rapids. 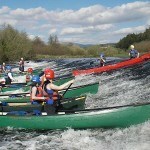 An introduction to faster moving water is run on the River Laune from Killarney to Killorglin. 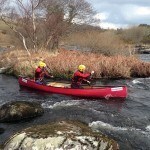 Fast white-water rivers include the Flesk in Killarney and the Lower Caragh in Killorglin. 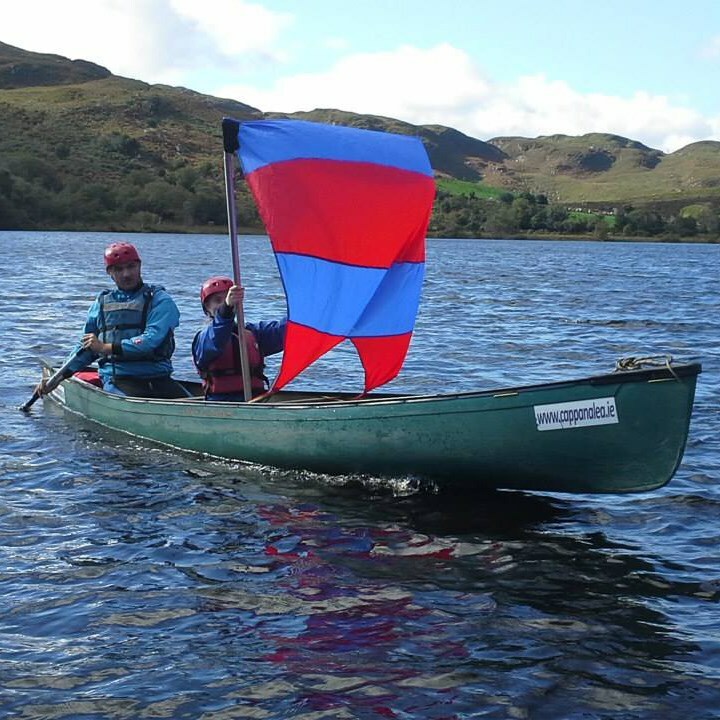 Here at Cappanalea OETC we run a wide range of courses which allow our students to progress through the various National Governing Body – Canoeing Ireland certified canoeing skills levels within the sport. 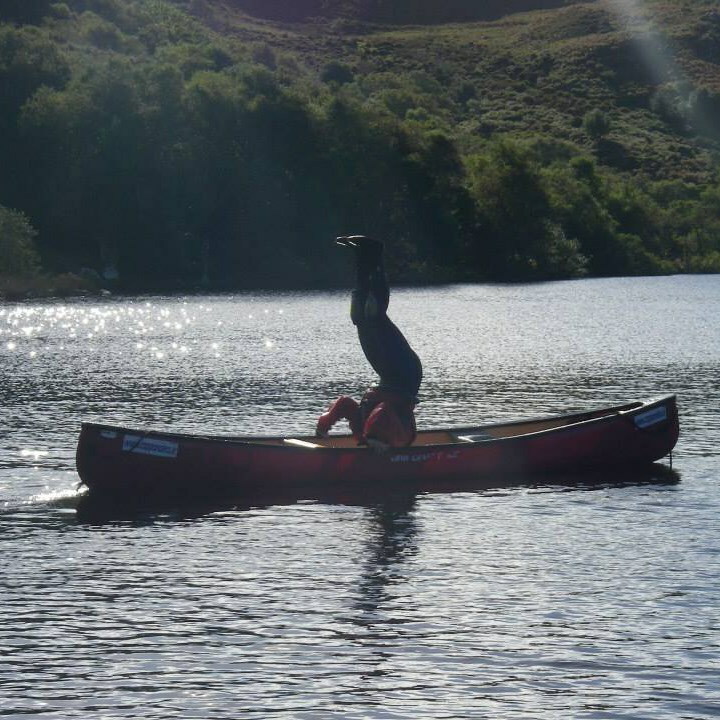 Our qualified instructors train and assess people up to and including Skills Level 4 as well as a number of Canoe Instructor Courses in accordance to the Canoeing Ireland syllabi. Assessments are run periodically throughout the year.